Further to this, door staff work extremely closely with other security personnel – stewards, foot patrol and low profile watchmen – to inform of suspicion of to provide extra physical help if the removal or subduing of guests is required. Door supervisors are a great idea if you are hosting a private or particularly sensitive event that you either need to prevent public access to, or need to protect any number of guests inside. 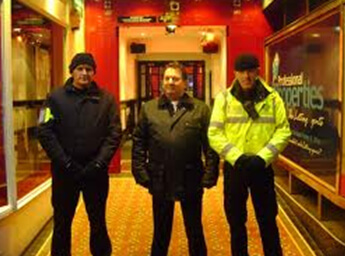 Alongside other security personnel that ACES security Leeds can provide, they are a fantastic front line of defence and can be left to man your fort with confidence and ease.